To Educate, Encourage and Empower school students to grow and eat health-friendly organic food, and do so as part of the official educational curriculum. While making sure they have FUN, elementary and preschool students experience and understand the true meaning of growing and eating LOCAL health-friendly organic food. Find out what the kids learn, how our Grower Educators work, and what people have to say about us. From volunteering to donations of all kinds, there are so many ways for you to help our school programs thrive. Meet the GYFS team - our hands-on board members and our oh-so-important Grower Educators. 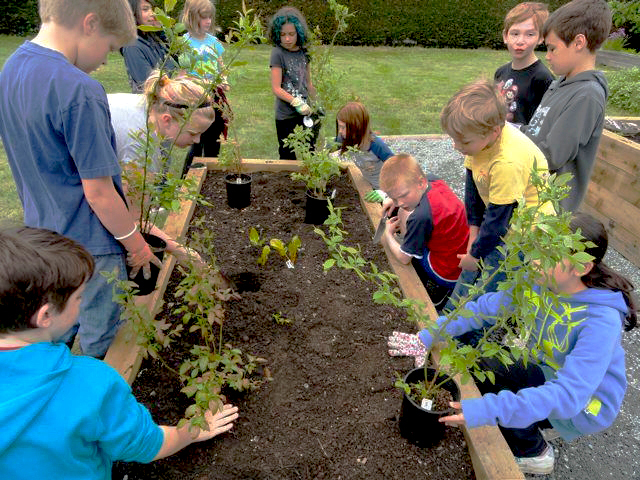 See us in action at Deep Cove Elementary - as seen on CHEK news and The Victoria Foundation.